Do you spend all your free time on YouTube? You aren't the only one, its great database has drawn the attention of many users. But if you want to get hold of these videos by downloading them to your hard drive, you need an application like yMule Youtube Downloader, so that you can enjoy them without requiring an active Internet connection. This program has based its design on the interface of eMule, the P2P download client, to make it easier to use for the majority of users, even though it must be said that the recreation of the interface isn't as precise as it should be. In any case, by means of the latter, you will be able to search for videos on the Internet and download them easily. And to complete its offer, it is capable of converting them to the format of your choice. 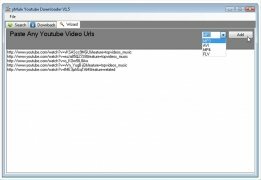 Easily download videos from YouTube searching over the web or manually input the URL address. 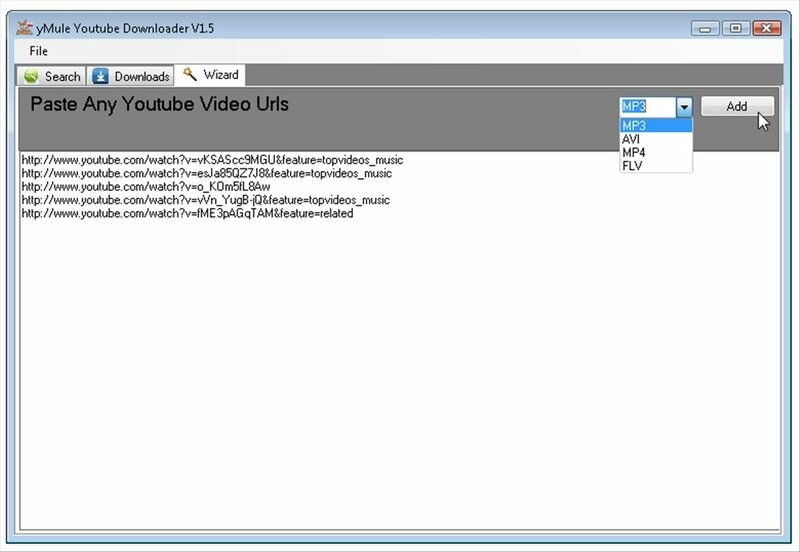 4 download formats: MP3, AVI, MP4 and FLV. Open the results of the searches in different tabs. It may not be the most ergonomic and versatile tool seen up to now, but it accomplishes its purpose correctly. Three tabs cover all the functions perfectly: carry out searches on the Internet following the preset criteria, observe the progress of the downloads and the conversion or input the address manually. Download yMule Youtube Downloader for free to download videos from YouTube and enjoy them wherever and whenever you want.